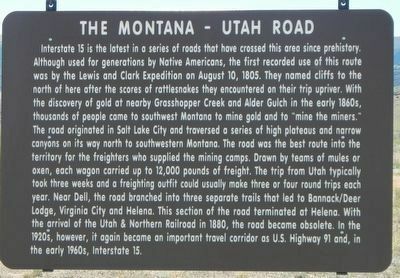 of the Utah & Northern Railroad in 1880, the Montana-Utah Road became obsolete. In the 1920s, however, it again became an important travel corridor as U.S. Highway 91 and, in the early 1960s, as Interstate 15. Location. 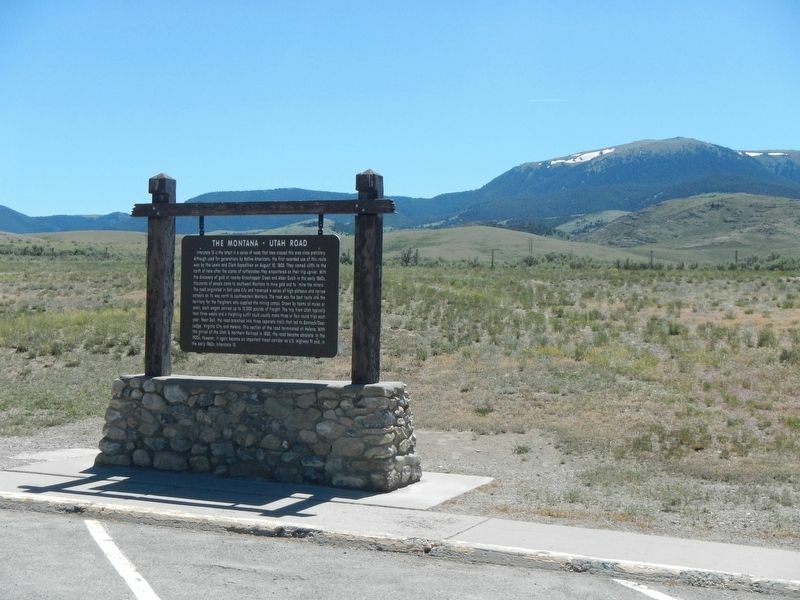 44° 51.132′ N, 112° 47.802′ W. Marker is near Dell, Montana, in Beaverhead County. Marker is on Interstate 15 at milepost 35 near Red Rock Road. Touch for map. Marker is in this post office area: Dell MT 59724, United States of America. Touch for directions. Other nearby markers. At least 4 other markers are within 11 miles of this marker, measured as the crow flies. Fortunate Camp (approx. 10.2 miles away); The Lewis and Clark Expedition (approx. 10.2 miles away); "it was mutually advantageous..." (approx. 10.3 miles away); Sacajawea (approx. 10½ miles away). More about this marker. 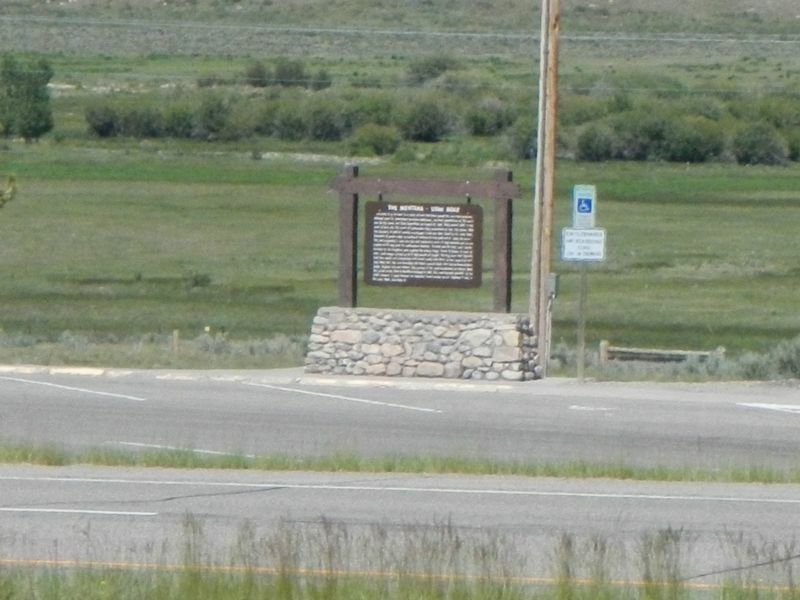 This marker is located at the Southbound Red Rock Rest Area off of Interstate 15. There is a duplicated marker at the Northbound rest area. More. Search the internet for The Montana-Utah Road. Credits. This page was last revised on October 7, 2018. This page originally submitted on October 7, 2018, by Barry Swackhamer of San Jose, California. This page has been viewed 93 times since then and 29 times this year. Photos: 1, 2, 3. submitted on October 7, 2018, by Barry Swackhamer of San Jose, California.